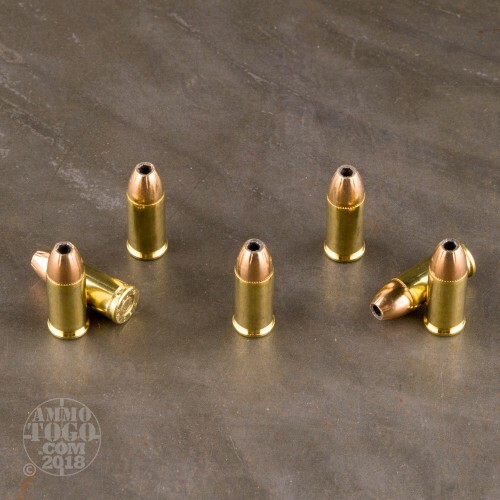 If you carry a compact .32 ACP handgun by the likes of Walther, Kel-Tec, Seecamp, or another manufacturer, you'll also want some jacketed hollow points for effective self-defense. 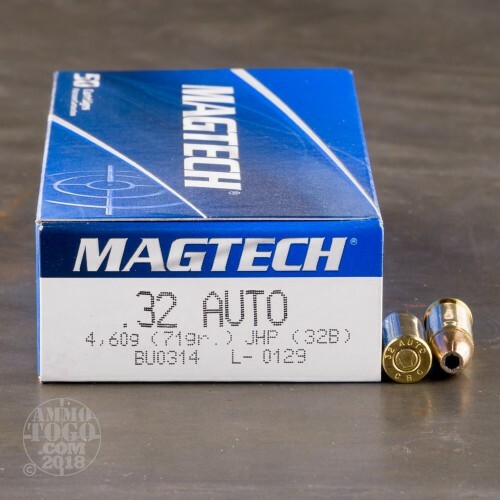 These .32 Auto cartridges from Magtech fire a 71 grain JHP and deliver solid performance at a reasonable price that lets you buy a few boxes for proper training. 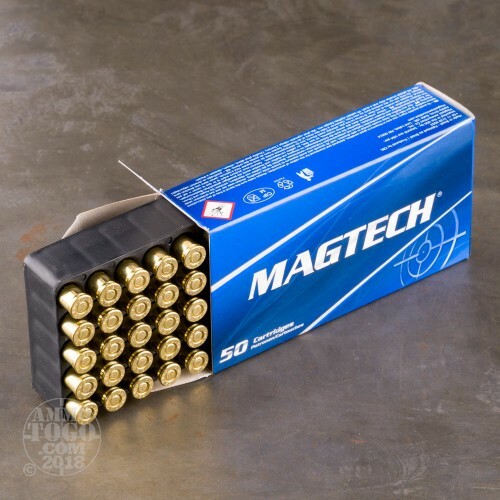 Each box contains 50 cartridges. 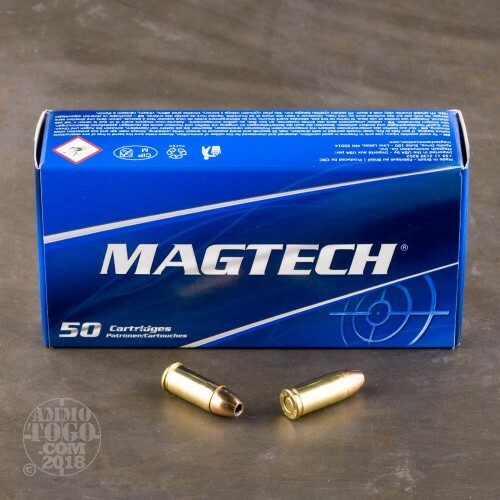 Magtech ammo is loaded in Brazil by CBC, a defense contractor that also owns the Sellier & Bellot and MEN brands in Europe.